Join our Greek Village Festival. & Celebrate the Music, Spirit, Culture & Cuisine of Greece. 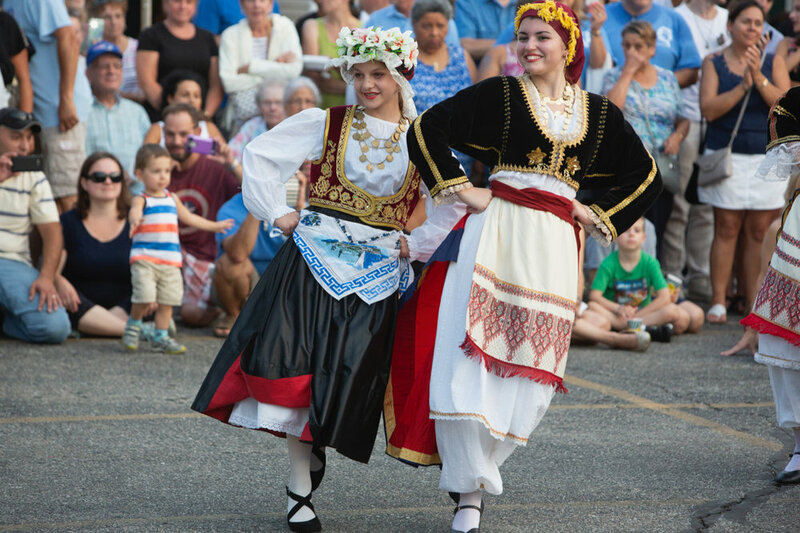 On the weekend of August 17 – 19 the Pawtucket Assumption Greek Orthodox Parish Celebrates its 91st Annual Festival. Greeted by a life-size Evzone & Guided to Festival grounds, we emerge onto an abundance of foods & pastries, each carrying the Flavor of Greek Villages. Our in/out-door Greek Marketplace is brimming with specialized clothing, jewelry, giftware, art & religious items. Our menu is Mediterranean-Greek - prepared on site. Join our Village Glendi Fun & Flavor. Enjoy - as we showcase Greek Heritage, Culture & Greek Orthodoxy.